I’m interested in collecting. I spent a lot of time writing about it in my dissertation because I wanted to broaden the frame of what we frequently think about when discussing collecting and collection—moving beyond material accumulation, ordering and display, and the particular field of expertise developed around creating an argument for the significance of your collected artifacts and collecting practice. Academically, I am only interested in material collection as a subset of how people collect ideas, stories, memories, traditions—sometimes associated with so-called “collectibles,” but not necessarily—towards the assertion of multiple overlapping social identities, whose positional arrangement establishes a site for claiming an individual identity. In part, my argument is that engagements with popular culture provide a framework for making identity narratives in a multi-faceted way—that is, both the content of popular culture (the stories, characters and tropes they contain) and the form (serialization, conceits of plot and language, representation) provide it readers with ways of organizing their life in any given moment of telling (and self-telling) as to create a revisable narrative of the self. Put most succinctly (and simplistically): Identity is a constant retcon. But this idea, which I explore in terms of several texts (only two of which are comics, and neither of which are superhero comics) that I situate in a contemporary transnational American field in 300 some odd pages is not what I want to write about here. Instead, I want to take a step back and rather than write about this broader idea of collection—of what I have dubbed “(re)collection”­—I want to write about the more usual and narrowly defined material collection that I practice and that has informed my academic work and to a much larger degree this very blog that you are reading. The entirety of my current single-issues collection (what the kids today call “floppies”). Not including about a box’s worth I am trying to sell. I didn’t have much of a methodology to collecting comics when I started at age 10. I just got what appealed to me on a whim, depending on what was available to me at the newsstand and candy store where I usually bought comics. Sometimes I was able to find older comics at the yard sales and flea markets I trolled on the weekend with my older sister’s help. I had a rough sense that “first issues” could be worth a lot, (and the comics industry reinforced this) but that led to things like cherishing my copy of Eternals #1, which was not Jack Kirby’s finest work and would never be worth very much, financially speaking. I tried to follow titles, but in the days before I had a steady income (I never even had an allowance), there were always gaps. Anything longer than a two-part arc was unlikely to be completed, but that was okay, I knew the conventions of the genre. I knew how they’d end, and the brief recaps comics included back then always caught me up if I missed the beginning. I got rid of the vast majority of my comics collection, such as it was, in the mid to late 90s, after having stopped buying any by the time I was a senior in high school. I gave some away, but most I sold on eBay or gave to my mom to sell in yard sales. I had something close to 700 comics by the time I finished high school in 1989, but by 1999 that number was down to less than 100, maybe 125. I never kept close count. These days I am back over 1300 comics, which may not be a lot compared to many collectors, but it is a lot to me—especially since, much to my wife’s chagrin, I don’t imagine the growth of this collection slowing any time soon, and our apartment is not getting any bigger. My resurgence as “collector” happened to coincide with my entering graduate school. I had been buying new comics with some regularity since about 2001 or 2002, but much like when I was a kid there was little rhyme or reason for how I did it. I just had the disposable income to hit up Forbidden Planet on 13th and Broadway every Wednesday and pick up whatever interested me, supplemented by searching out things recommended to me by a friend. However, once I re-started my schooling in 2007, literary studies allowed me to develop the critical skills and language to start to express what had long bothered me about mainstream comics, along with a new lens with which to discover what might be subversive and interesting about them. It was then that my collecting practice started to change. Sure, I still get new comics. I have a pull list and head into the city to pick up a dozen or so books every three or four weeks, and I pay close attention to what is coming out, especially comics with characters of color, women and by creators who are women and/or people of color. For example, I have been working on a long examination of Latino superheroes (mostly in Marvel) and as such am picking up the All-New Ghost Rider series which figures a Chicano protagonist, even though it is pretty terrible—but the most fun part of my current collection practice is hunting down back issues. The cost of some back issues makes them impossible for me to get outside of re-print trade paperback collections. For example, I have basically given up the hope of ever getting the individual issue for some of the classic Claremont/Byrne X-Men storylines I’d like to own, as I have a basic rule when it comes to buying back issues: Never pay more than $5 (including shipping) for an individual issue. It doesn’t matter what it is, or what some price guide says it should be worth. So there are issues I have to get in trade paperback form, but I prefer individual back issues to trade paperbacks because I like the original coloring (often re-done in reprints) and I love looking at the ads and letters pages (and covers) from those original issues, which are not available in the collections. They often say as much about the era, the genre, the medium, the readers, the editors, as the stories and characters themselves do. You can learn a lot from the ad in a comic. There are more recent comics series that I only collect in trades, like Saga, because I know Image is very good at putting them out in a timely fashion. Owning the individual issues does not give me anything that the trades don’t, when it comes to contemporary comics. Perhaps the least surprising aspect to my collecting is that I look for Bronze Age comics that tackle race and ethnicity, and to some degree gender (though superhero comics are basically always commenting on masculinity in one form or another). As such, I picked up all five issues of Marvel’s Black Goliath (and the Marvel Two-In-One “Project Pegasus” arc that also includes him) and the 11 issues of Black Lightning (DC’s first black superhero with his own book) and the first arc of the 1990s version of his book. I am currently trying to collect all the appearances of Tarantula, the first Latino Marvel character I was aware of, even if he was a villain, and White Tiger’s appearances in the 1970s magazine-sized comic, Deadly Hands of Kung-Fu is on my list as well as he was the first Puerto Rican Marvel superhero. These failed and cancelled series and obscure intermittently appearing characters are crucial to my interest because I hope to find in them some clues as to 1) what went wrong, and 2) what was right, but lost due to cancellation, and lastly—in line with my conceptualization of (re)collection—what is/was present in those characters that allow them to be put to use by readers seeking a framework for identity. 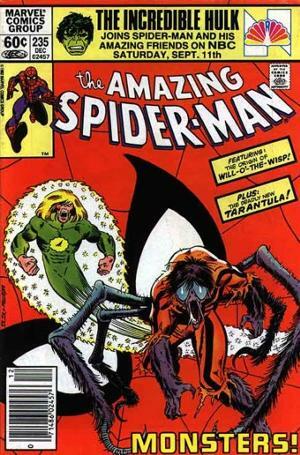 I will never forget the conversation I had at age 11 with my friend Reynaldo about Tarantula when we first came across him in Amazing Spider-Man #233. We were excited that he was a Latino guy! His dialogue was peppered with Spanish. That issue did not say where he was from (or if it did, we missed it), but certainly he could be Puerto Rican like us…? So what if he was a villain? For a moment his visibility in the Marvel Universe was our visibility. We were being fed a stereotypical Latin American revolutionary villain type who turns out to be just another greedy thief, but our hunger for representation made the possibilities he represented delicious, without ever interfering with our love of Spider-Man, because what 10-year old boy doesn’t love Spider-Man? It is a clear example of the possibilities of Muñoz’s concept of disidentification. With his pointy shoes, red outfit and bandanna, Tarantula was not all that different from some of the sketchy neighborhood characters we feared and admired. 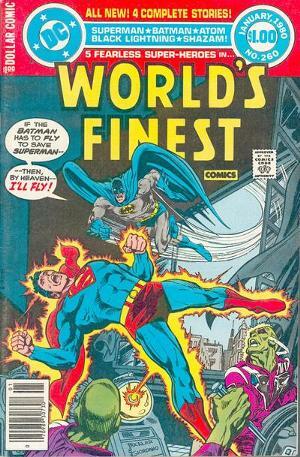 DC’s World Finest #260 (Jan 1980), which I only want b/c it’s back-p story is a conclusion of the Black Lightning story left unfinished due to its cancellation. Currently, I am also trying to get my hands on the four issues of Strange Tales that introduce Brother Voodoo, because I want to read a clear example of how Marvel comics represented Haiti, a Haitian character and “alternative” spiritual beliefs. Finding issues that fall within my $5 framework has proved difficult. I also want to finish getting all of Tyroc’s appearances in DC’s Legion of Superheroes. But race, ethnicity and gender aren’t the only framework for my comic book collecting­—at least not directly. Nostalgia is a big part of what makes a grown man in his 40s go back re-acquiring things from his childhood, or acquiring for the first time the things he desired at that time. I am not one to buy toys and statuettes and the like because I take no pleasure engaging with them. I wouldn’t spread them out on the floor and play like I once did (perhaps when I have children of my own), but through comic collecting there is still a way I can engage with the stories I enjoyed and sought out as a kid and later a teenager. This nostalgia is apparent in my other big area of collecting, short to moderate series that are strange, quirky and/or based on a toy license. For example, most of the issues of ROM Spaceknight I have are from my childhood/teen years. I now own a full-run, including his appearances in other Marvel titles, and all the appearances of his enemies, the Dire Wraiths in other titles as well. Along those same line, I have collected all of Marvel’s first Micronauts series (I am just short the final issue), and other short-lived series like Jack Kirby’s OMAC and Devil Dinosaur (because who doesn’t love dinosaurs?). This is not to say that just because a series is weird I keep it. I got my hands on a full-run of Marvel’s U.S. 1 for cheap, and it was so terrible I sold it on eBay soon after reading it. I had heard how bad it was, but figured it must have some kind of quirky bad charm, but not enough… Chances are when I have finished my research, I will try and sell those issues of All-New Ghost Rider (which could stand to be weirder). Regardless, while it may be nostalgia—the memory of loving Rom’s noble quest for alien exile and/or genocide and his struggle to maintain his humanity in a cyborg body, or the freedom-fighter themes in the Micronauts’ struggle against Baron Karza—that leads me to seek out those titles again, it is critical nostalgia that informs my reading and engagement with them once I have them, just as it informs my reading of sketchy history of characters of color in the Bronze Age. Sinead McDermott defines critical nostalgia as a mode of engagement with the past that “functions as a means of defiance against attempts to erase or deny the past, as well as rendering visible the links between individual and collective memory” (404). It “can serve as a mode of critique, highlighting the disjunctures and differences between past and present and refusing attempts to impose a seamless narrative” (405) and “allows the past to be retrieved differently: not as a single line leading from then to now but instead as a cluster of memories, desires, and possibilities that do not always lead in the direction of the present” (405). In other words, McDermott is transforming nostalgia’s tendency to romanticize the past—ignoring or ennobling poverty, violence, inequality, injustice—into a longing not for the past it is generally remembered, but as it should have been, and for a remembering and telling of the stories and boosting of the voices of those so often silenced in the nostalgia of the dominant culture. This obviously applies to my readings and analysis of things like Black Goliath (which I still argue could have been a great Marvel series if given half a chance), wherein an idealized superhero world is marred by even momentary reflection on the absence of black heroes, or their poor handling when they are included, or more frequently, the self-congratulatory attitude of the Big Two Comic Publishers about the introduction of their black characters that often obscures the trajectory of those characters (which I discussed in my recent Apex Magazine article). The absence of sufficient characters of color also means that other titles can be sites for a form of critical nostalgia informed by the preferences of my younger self. As I suggest in my post about Machine Man (another series I hope to re-collect), in the absence of characters to identify with, that reflect ourselves and our communities, we look for resonances—for me, it long took the form of robots and cyborgs, the inhuman looking to be human and to belong. And me for those resonances work on multiple levels, not only in regards to my own experiences as a nerdy kid of color in environments that were not always friendly to us, even within our own communities, and my time as one of the few students of color at a boarding (if somewhat bohemian) prep school, but also in terms of the political limbo inhabited by the land of my forbearers, and that I most resolutely identify with. For me, that is the work of collecting: putting together an understanding, not only of the items and the ideas they represent themselves, but also putting together a framework in which they seek to define an elusive meaning that reflects something—perhaps too much—of the collector’s identity. This necessarily forever incomplete work, as McDermott explains in her definition of critical nostalgia, highlights the disjunctures in the façade of a single narrative. Superhero comics are woven from multiple narratives, not only within their continuities, but also on the meta level in terms of the narrative of the typical reader/collector (something the “We Are Comics” movement is challenging) and also the narrative of the industry (that is, Steve Gerber or Jack Kirby or Christopher Priest are going to have different versions of how that went and continues to go, from what we might hear in a 75th anniversary retrospective). All of that being said, there are logistical aspects to collecting that I find a lot of fun. 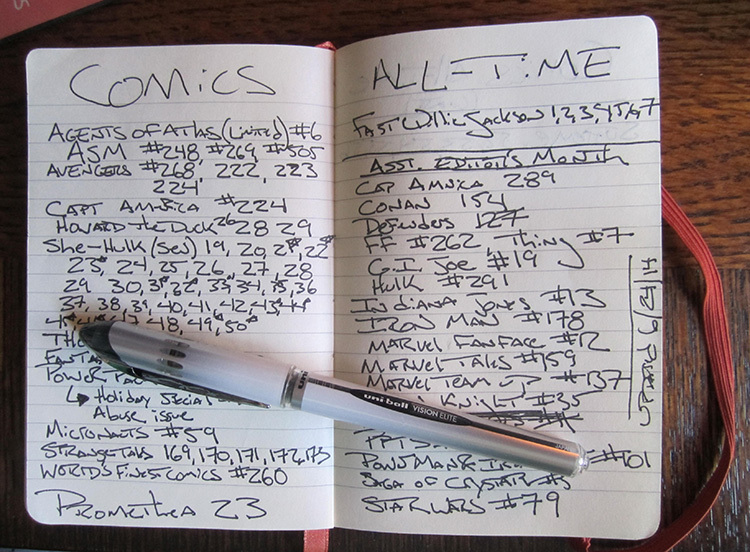 For example, last year I put together a large detailed spreadsheet of my comics collection, and I had a great time looking through them all to gather the data on who wrote, who penciled, when it came out, who appeared in the issue, etc… It is a task I now look forward to as I go through the stack of new comics I get every week, and I am still running through cataloging the trade paperbacks on my bookshelves (all the individual issues in the short boxes are accounted for). There is the hunting on eBay and also through Midtown Comics’ website, which has a convenient deliver-to-store option, which helps me save on shipping, and whose back issues are mostly affordable—I have another ground rule for collecting back issues; this one in regards to condition: “Fine is good, but very good is fine.” As long as the cover is intact and the interior is otherwise complete, the condition of a comic does not matter to me too much. It just needs to be legible. 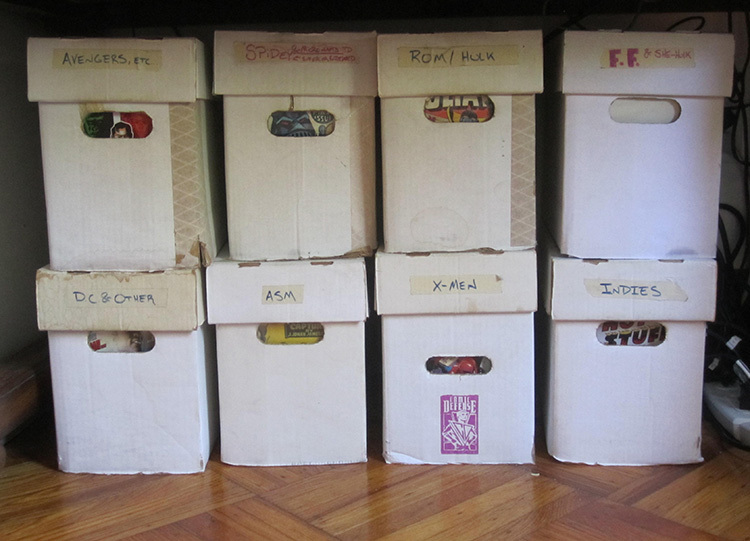 Some of the comics in my “ROM & Hulk” box according to my spreadsheet. Note, I do not record condition. Once I own comic to read, I don’t care anymore. I also love the feeling of excitement that come with researching a reference to a particular comic or creator and I start to hunt around the web and/or ask friends about it. I like figuring out how best to group them in their shortboxes so that series are kept together and are with similar titles—alphabetical within the boxes, but not alphabetical overall, so that She-Hulk can be found in the same box as Fantastic Four and issues of Thing’s solo series and Marvel Two- In-One, and Captain Marvel (Carol Danvers) is in the “Avengers” box with Hawkeye and Agents of Atlas (sure She-Hulk could reasonably be in that box, too—but there is no room and I think of her as a member of the FF more than an Avenger). My experience with characters and titles determines their associations and what counts as “complete.” There is one box for all my DC books (never was a huge fan of their mainstream stuff) and another for all my indie and smaller press comics (as I own most of those in collections, a whole shelf of Love and Rockets, half-a-shelf of Alan Moore’s non-DC output, a growing collection of the Saga trades). But most of all, I love reading comics. I don’t have as much opportunity as I had as a kid to sit on the floor with an open box and just plow through a series, but I take out a few issues at a time, read or re-read some almost every day. What Kind of Collector Am I? According to Benjamin Woo, there are three basic kind of comic-book collectors: completists, hobbyists, and speculators (186), but while I find the designations broadly useful, they don’t quite work for me. Some collectors think of themselves as completists, but what determines “complete’ in a necessarily incomplete serial that also expands horizontally? The collector in determining his or her field of expertise defines “complete.” For example, while there have been a handful of dire wraith appearances in comics after the discontinuation of the ROM series, I don’t count those for the purposes of a “complete” collection. There is a second, short-lived Micronauts series, not written by Bill Mantlo. I have no interest. Woo writes of the days before the direct market and specialty comics shops, “[O]ne could not buy comics casually if one wanted to read them seriously: the next installment had to be sought out purposefully, whether by going to ‘several places’, trading with other readers, or through the tertiary market for used comics” (186), but I disagree! 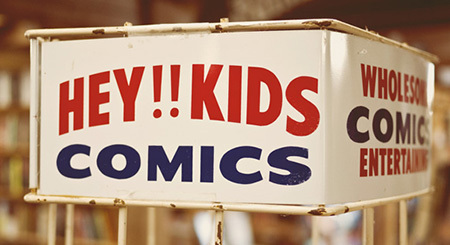 I read comics very seriously as a kid, I simply did not have the resources to hunt multiple places, buy multiple titles or even hunt for specific back issues (I never stepped into a comics shop until I was in my mid-teens!). I had to make do with what I call macro-closure, making narrative sense of the disjointed episodes of a title or across titles in the same shared universe. Perhaps I am more of a “hobbyist,” which Woo associates with Tankel and Murphy’s “curatorial consumers.” They write that such a consumer is a “curator, an archivist, and a preservationist for artifacts that have meaning for their cultural lives. The financial investment in preserving these artifacts does not represent any rational cost/benefit ratio if viewed only in a monetary sense. The value received from these artifacts is measured in terms not usually mentioned in the course of mass production and consumption; that is, in aesthetic pleasure and personal satisfaction” (qtd. in Woo 188). This sounds closer to my own practice and goals. I keep my “comics wanted list” with me. I have never been to a comics convention, but have other kinds of places where I hunt for back issues, mostly online, but also some old bookstores that are not prone to over-estimating the value of their stock like St. Mark’s Comics does, for example. On the other hand, my collection has nothing to do with the “substation of ‘good taste’.” I have plenty of general comics knowledge, but I am more interested in creating comics knowledge through collection and analysis than in reinforcing established canonical ideas. Part of my “All-Time Pull-List” in the little notebook I keep in my bag. I am definitely not a speculator. I pay little to no attention to the value of comics. I keep them in bags, some with boards, to preserve them for later reading and on the off chance I decide to re-sell them so I can at least make some money back, but have no illusions about making a huge profit margin, or even selling them for cost. You can take a look at what I have up on eBay right now and see that whatever I sell is not out of a desire to make money, per se, but rather as a means to pay for more cheap comics. I don’t think of myself as part of a culture—there is no geek culture, but that is a subject for another post—but via comic books I do participate in consumer-based lifestyle activity. Very little material collecting of any kind does not participate in some kind of market. The prices of comics concerns me, both as a buyer and a seller. 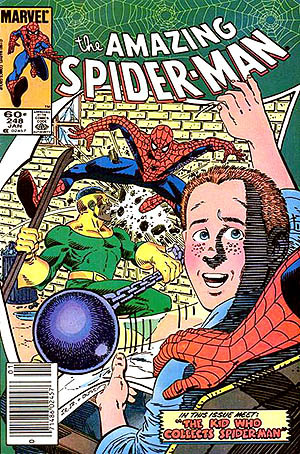 I am also frequently uncomfortable with how comic book companies manipulate nostalgia for their product through explicit and implicit references to collectability in order to maximize profits. In fact, I can’t help but think of most speculators in this day and age as suckers who by all the variant covers of the frequently rebooted series to make for more frequent sales-inflating first issues. It is a classic example of diminishing returns. Unless you are lucky enough to find Action Comics #1 in the wall of your house, or happen to have The Incredible Hulk #181 (first appearance of Wolverine), chances are you won’t be making your money back. I chuckle to think of the number of the 1991 X-Men #1s that must choke landfills right now. They reportedly sold over 8 million copies of that gimmick, and these days you can regularly find issues in dollar boxes. For me, $1 is too much, but then again there may be someone out there whose collecting practice revolves around the ridiculousness of the gimmick cover, documenting the excesses of the comics market, the foolishness of consumers, the predatory policies of the Big Two…in which case, multiple copies of X-Men #1, would be a kind of ground zero for that collection (though I think Secret Wars II and Crisis of Infinite Earths with their tie-ins would be foundational artifacts for it as well). As you might be able to tell, I am always ready to start thinking about ways to collect and organize these materials. However, ultimately my enjoyment emerges from constructing a resistant-reading, a counter history to the monolithic narrative of comic book collecting that emphasizes financial value, first appearances and the most popular characters without challenging its assumptions about gender, about white supremacy, about comic book readers. In my eyes that is just a small part of a much larger world of superhero comics, which are a just a part of a much larger world of comics more generally. All regular comics readers are collectors, even if they aren’t keeping the issues they buy, even if they are only borrowing from a friend, even if they are reading them at the library, even if they are trying to resolve the seemingly endless number of superhero movies with comics they haven’t read in 40 years, they are organizing stories, characters, events, writers, artists into frameworks from which they derive some pleasure and some degree of identification through constructing a coherent identity for their favorite characters. Even comics we hate and events we don’t like become material that is important to our collection through its rejection and exclusion. I encourage people to think about their collecting practices. Not just for comics, though comics are likely to be the area of focus for most of my readers, but for anything you happen to collect—music (I am considering a future follow-up post to this one about my music collecting), toys, ticket stubs, sports memorabilia, movies, TV shows, matchbooks, postcards, what-have-you. What are the criteria you use for determining if something fits your collection? In what ways has that criteria changed over time? What kinds of narratives do you see both in the materials you have collected and in the way you have collected them? I’d love to hear about it. And beyond that, how has collecting, not only those artifacts, but the experience and knowledge built around them formed a way to think about yourself? When I think about my comics collecting there is a whole narrative I construct about race and ethnicity and gender, about economics and authenticity, about social relationships and history, as my life has intersected with them. This doesn’t necessarily make comics themselves exceptional, save that their own narratives provide an explicit model for thinking about collecting and re-working stories to make a meta-narrative called identity cohere, that are less obvious in other forms of collecting. 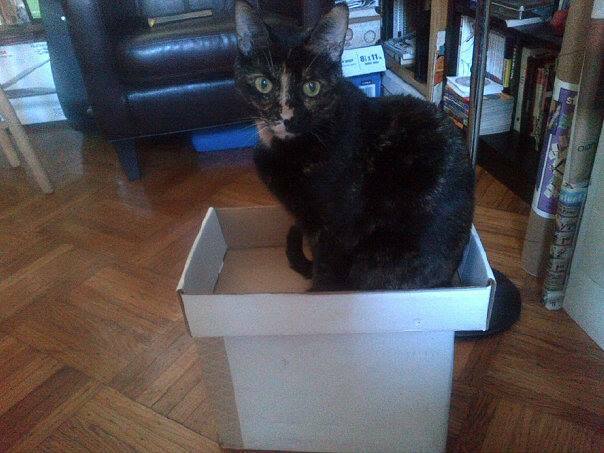 Francie loves when I get out the shortboxes. Woo, Benjamin. “Understanding Understandings of Comics: Reading and Collecting as Media-Oriented Practices.” Participations: Journal of Audience and Reception Studies. 9.2 (2012): 180-199. Print. Had that spinner rack on my room as a kid! I am nostalgic as an SOB and a great article!! Excellent article, definitely a lot of great food for thought! I generally collect series I like; unlike some comic collectors, I don’t exactly have any “white whales” I’m chasing, though of course I’d love to own some of the key issues of the 1970s Green Lantern/Green Arrow series. Generally when it comes to back issues, I either buy digitally or buy in trade, but occasionally will browse dollar bins and grab something if it catches my eye. Thanks for commenting. I’ve been considering a follow-up to this post since it is a few years old now, and my collecting habits have shifted as my collection has grown. If you haven’t, you should also check out “Reading For Absences; On Growing Up With Comics That Didn’t Remotely Reflect America” – a guest post on Too Busy Thinking About Comics that covers some of the same ground from a more personal perspective. Terrific article! Fascinating, and thought provoking as well. Regarding your comments on ” kinds of collectors”, perhaps some of us gravitate from one category to another over time. Years ago, at my collecting apex, I was definitely a completist. Now, like you, “hobbyist” sounds more appropriate. Great to see you over here, Red! And, I’m glad you enjoyed the post. I always mean to write a follow up to this. . maybe I will before the year is up.